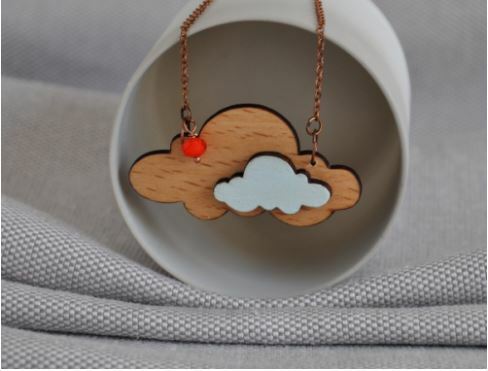 Posted in Arty Smarty, Ireland, Jewellery, Love Dublin, Mother's Day Gift Ideas, Wood. 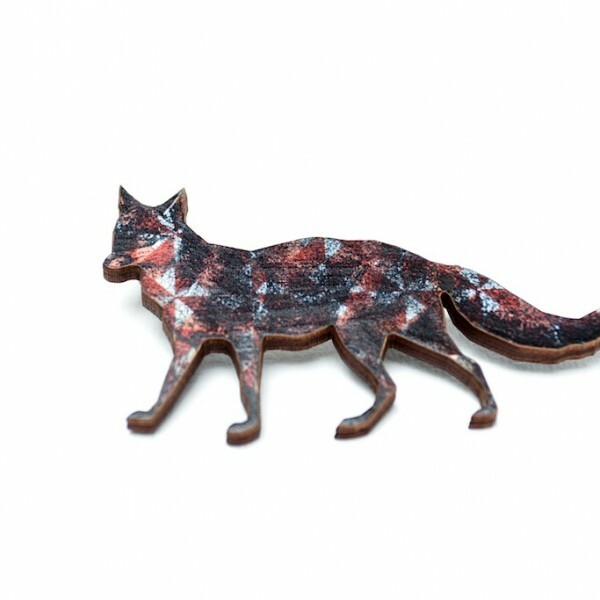 Tagged as arty, brooch, fox, smarty, wood. 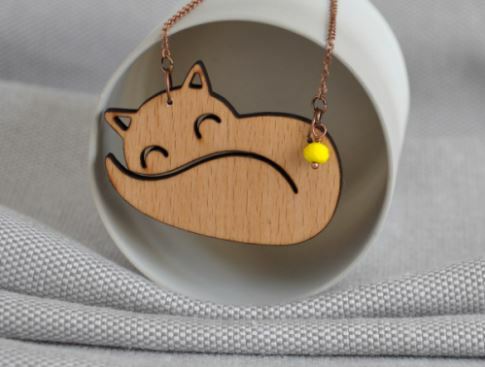 Handmade from wood, this charming fox is covered with bold geometric patterns with a hinged pin back. 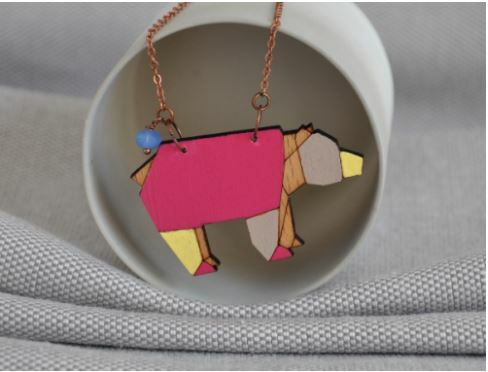 This cheeky bear is carefully cut from wood with a hinged pin back to attach to your lapel, hat or bag. Handmade in the Dublin studio, this quirky brooch would make the perfect gift for any jewellery or woodland animal lover. 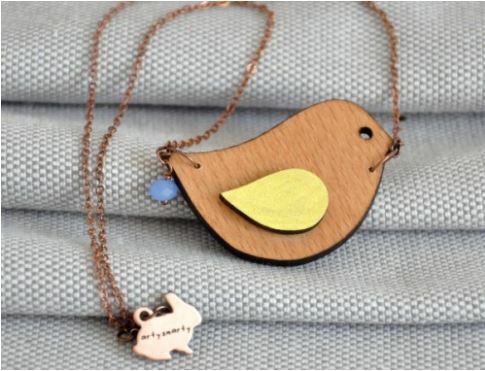 The brooch comes packaged on a card that gives some information about the maker. 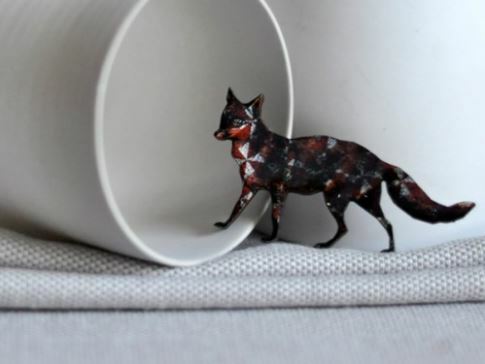 The bear is made from birch wood papers, carefully sealed and with a stainless steel hinged pin back.